On February 4th every year, World Cancer Day unites the world’s population in the fight against cancer. 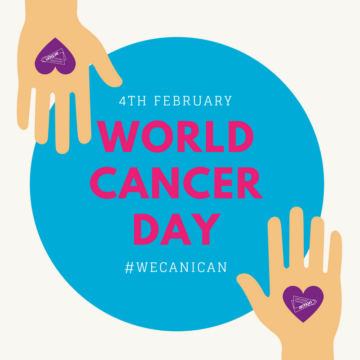 Why is World Cancer Day Important? Currently, 8.2 million people die from cancer worldwide every year, out of which 4 million die prematurely (aged 30 to 69 years). 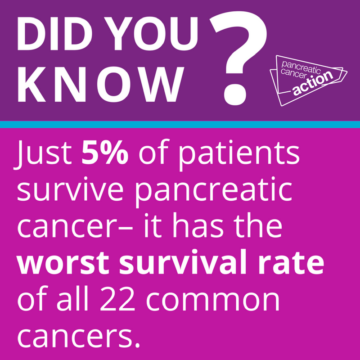 There are around 280,000 new cases of pancreatic cancer each year and it is the 7th biggest cancer killer (5th in the UK). World Cancer Day is the ideal opportunity to spread the word and raise the profile of cancer in people’s minds and in the world’s media. The ‘We can. I can.’ campaign explores how everyone – as a collective or as individuals – can do their part to reduce the global burden of cancer. 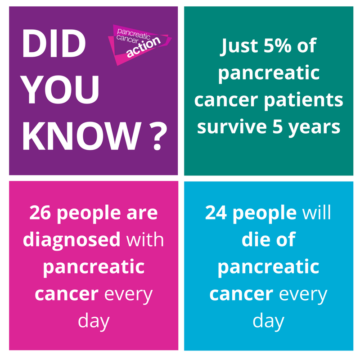 Help Raise Awareness of Pancreatic Cancer on World Cancer Day! 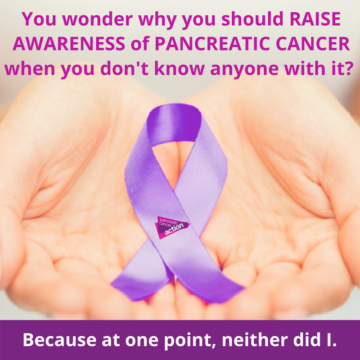 Raise awareness by sharing your own personal experience with pancreatic cancer on social media or share one of our posts below and link to our website www.pancreaticcanceraction.org. You can also raise awareness of the signs and symptoms of the disease by sharing our new symptoms song and animation from YouTube. Thunderclap is a tool that facilitates the mass dissemination of messages via Facebook, Twitter and Tumblr by simultaneously posting to the accounts of those who support the campaign. This is a great way to give the campaign visibility and increase the chances of people talking about the day on social media. 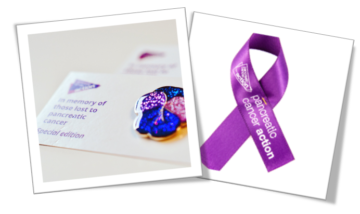 Help spread the word on the 4th of February by wearing a Pancreatic Cancer Action badge, t-shirt or hoodie. Click here to visit our shop. 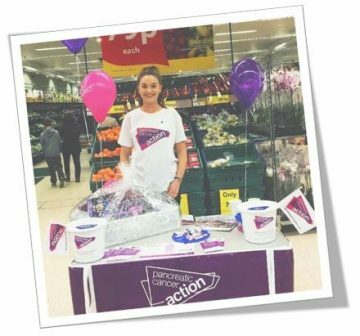 Whether you organise a big event, a school or office mufti or a cake sale, it all helps make a difference. For ideas on what you can do and for fundraising materials visit our fundraising section or e-mail [email protected] for any other queries. You can donate online here or text donate PANC22 £5 to 70070.